Wilo offers the new generation of the Wilo-Yonos PICO series small circulators to the UK market. A range of new features has been added to this popular circulator primarily for residential homes, for heating systems and air conditioning equipment. Wilo has succeeded in not only upgrading one of the most established products in the market, but also to an extent, it has been able to reinvent it thanks to new functionality and ease of use. 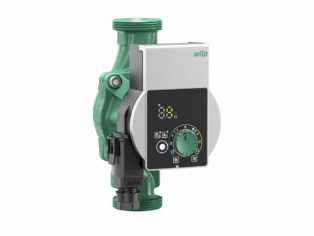 For more information on the Yonos PICO and the other small pumps in the energy efficient Wilo family of circulators, visit www.wilo.co.uk or call 01283 523000.